These "behind the scenes" interviews were one minute each interviews, one with each of the gang, one with some of the villains, and two with the gang as a whole. Interviews the gang as a whole, and reveals how the gang got the Mystery Machine. Focuses on Scooby and Shaggy's friendship, and Scooby's ability to talk. Focuses on Shaggy's eating, Shaggy's childhood, and his belt buckle collection. An interview with Daphne, revealing her aspirations to become a supermodel and a detective, and her relationship with Fred. An interview telling about Velma's childhood, achievements, and her catchphrase before Jinkies. Talks about Fred's ascot, his good looks, mystery writing talent and Showboat singing. We find out about some of the villains the gang has put in jail in this interview. After 200 cases (as of 1998), what has the gang learned? We find out in this overall interview of the gang as a whole. In a parody of The Blair Witch Project, the gang gets lost in the woods with a monster chasing them. -There are many different versions of the special, some with footage cut and some with footage extended. -This parody aired during a Scooby-Doo Halloween marathon. 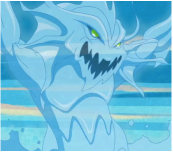 -This is the only "special" villain that was never given a name. The gang picks up Gary Coleman in the Mystery Machine, and after the Mystery Machine breaks down, they have to go in a house that is haunted by a zombie. - The zombie from the special is the same zombie from "Which Witch is Which." - This is a parody of the whole Scooby-Doo franchise. - This special aired during a Halloween Scooby-Doo marathon. The gang goes to the World Invitational Games, and Shaggy, Scooby and Fred get a chance of a lifetime to compete in the games, but when a 1000 year old statue comes to life, it looks like the games may be over. That is, unless the gang can solve the mystery first! - July 28, 2012 is the day the special premiered on Cartoon Network. It's also the day that the 2012 Olympics began in London. Scooby-Doo and the gang go to a toy store's Christmas parade, only to have it be interrupted by a living snowman. As the gang begins investigating, they find out that this mystery is more than it seems. - If you look very closely, you can see Bugs Bunny dolls at the toy store. - The scene where Scooby hits several obstacles on the toy car is a parody of the intro of The New Scooby-Doo Movies. Scooby and the gang visits Cobb Corner for Halloween, but find out the town is being plagued by a living scarecrow brought to life by the curse of a witch. If the gang doesn't solve the mystery soon, Cobb Corner will have no Halloween! - Lance Damon from Scooby-Doo! Stage Fright (which was released only 3 weeks earlier) can be seen taking a picture of Levi and Maisy as the Cobb Corner King and Queen. - This special was previously going to be called Scooby-Doo and the Scarecrow's Curse. When the gang visits a space expo, one of the inventions, the Mecha Mutt, comes to life and wreaks havoc. Is it just faulty wiring, or is it "The Space Specter," an apparition who supposedly cursed the expo? - Josie from Josie and the Pussycats can be seen as a reporter. - Scooby holds a sign up that says "ruh-roh" which is a reference to Wile E. Coyote. - This special was originally called "Scooby-Doo and the Maniacal Mecha Mutt." - The special was written by Rick Copp, who had written "Scooby-Doo and the Witch's Ghost" 14 years before. When the gang goes to the World Soccer Cup, a creature threatens to ruin the games, that is unless the gang can solve this mystery. - The working title for this special was "Scooby-Doo! Goal." - Diane from the special Spooky Games reappears as a reporter. - The release of this special was purposely aligned with the 2014 FIFA World Cup. A creature named Aquazilla is scaring tourists away from a beach in Florida. - The Jones mansion from Scooby-Doo! Mystery Incorporated appears in this special. The gang visits the spooky Grimsley Manor, where they must solve the mystery of the Black Knight who is scaring people away.